Yes, I missed Croatia very much when they were gone. 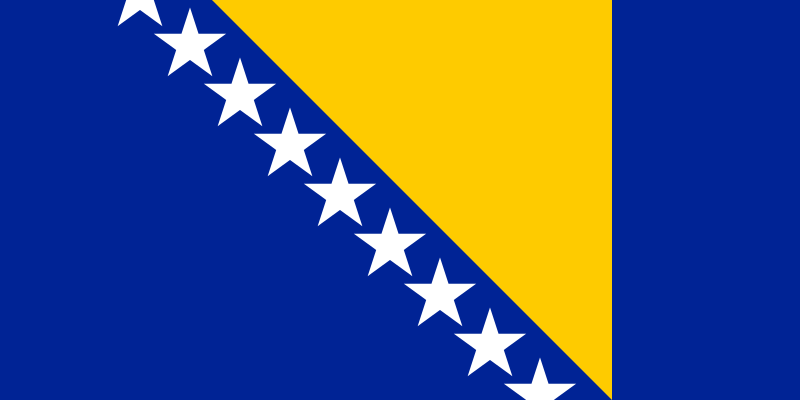 But I missed Bosnia-Herzegovina even more. Since 2004 they've been good every year, even when they weren't good as such they delivered and became good before our very eyes. What kind of entry would be the right one to attempt a comeback with, then? That questions seems to have bothered the Bosnians as well so they decided to throw every idea they had into one single song. Everything and the kitchen sink. And for the first time since forever, it feels like Bosnia let us down. The presentation in the clip really isn't optimal. Maybe the circumstances are to blame but there is no sparkle between Deen and his duet partner. The cello player feels more like a decoration than an actual component of the actual entry and the song just goes on and on until a rapper bursts into the whole thing. Since the rap entrance brings some action into the picture, it comes more as a relief than a disturbance. Borderline. I hate crying diaspora but had this been Slovakia I would have bet everything I have on this not qualifying. Now it could very well happen, despite an acute lack of song.